Long distance running performance thrives on ample supply of oxygen. In a 5K race more than 90% of the energy demands are covered by the aerobic system, in the marathon, it’s nearly 100%. In other words, if you don’t have a high VO2max, then your body won’t be able to burn enough of your primary fuels in the tank (carbs and fatty acids) to meet the demands of fast running for long distances. VO2max values are expressed in maximal oxygen consumption in ml/kg/min. A runner who pushes VO2max from 50ml to 60ml would often upgrade 5K time from 22 to about 18 minutes, for example. Note, however, that this logic doesn’t apply to compare 2 runners, as their running economy may be different. Hence, a runner with a 10% higher value in VO2max is not necessarily a faster runner. Elite athletes have commonly VO2max values of 70ml and upwards. That’s roughly double the maximal oxygen supply of the average person. Now the 1 million dollar question is how much can you improve your VO2max before it hits a ceiling. Is it a gift of great genetics or is it the result of diligent training – which brings up the age old nature vs nurture debate. The answer is: Both matter to a large degree. On the genetic side of things, we have to consider baseline and trainability. Runner A may have a naturally higher VO2max value before embarking on a training program while Runner B has an initially lower value, but responds better to the very same training program. Over a 12 week period, Runner A may improve as little as 2 – 3% while Runner B improves by as much as 30 – 50%. 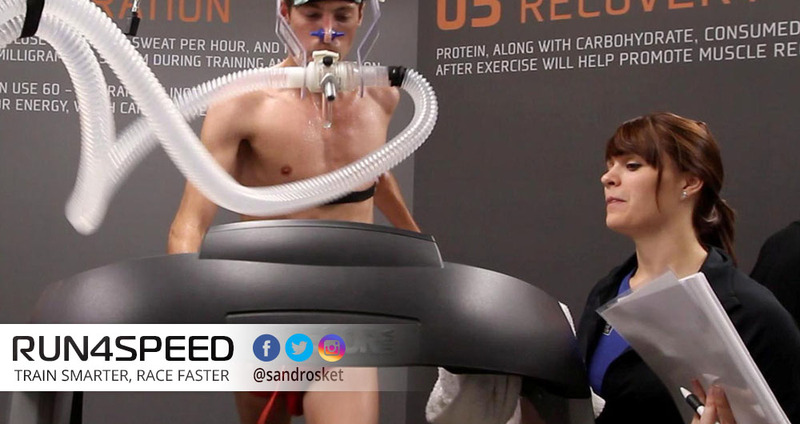 Luckily, most of us can improve their VO2max rather quickly by an average of 15 – 20% from an untrained state, with further increases as we raise our training volume and intensity. I can’t stress enough the importance of workout intensity rather than mileage in order to elicit the necessary adaptations. You will have to step out of your comfort zone. It surely is tough, but it makes all the difference. Heart stroke volume determines the amount of blood that can be ejected with each heartbeat. Since our maximum heart rate is genetically fixed, the size of your heart is the only variable you can improve to send more blood to the working muscles. Hard intervals at 90 – 110% (yes 110%) of VO2max are most effective. 400s at 1500m pace, 800s at 3K pace and 1600s at 10K pace, for example. Blood plasma volume and red blood cell count are significant factors as well . A 175-pound untrained male has a blood plasma volume of roughly 6 liters. An elite athlete at the same weight has up to 8.5 liters of blood at his disposal. Heat training and allowing for mild dehydration in training work well. Make sure you consume enough iron-rich foods so that your RBC count keeps up. Capillary density is yet another important piece to deliver oxygen to your working muscles. Anaerobic efforts foster the growth of capillaries around fast-twitch fibers and lactate threshold efforts spur the growth around slow-twitch fibers. Now it’s important to keep in mind that capillary growth has to be running-specific. Biking or swimming, albeit great for your heart, won’t cut it. Neuromuscular recruitment is a prerequisite to fully access your VO2max. As a case in point, I have recently switched from 10K long distance training to a 400m sprint regimen. For 12 weeks I cut my training volume down to 20% but trained twice a week at short 50 – 300m intervals at 400m race pace efforts. I expected to see a drop in VO2max by at least 10%, but instead it rose from 66 to 67. The latest research strongly supports the idea that high-intensity training, rather than high-volume training, produces the greatest improvement in VO2max. Paula Radcliffe, the world record-holder of the women’s marathon, achieved an exceptionally large VO2max of 70ml on as little as 25 – 30miles of training/week early in her career. It didn’t improve further when she consistently ran 120miles/week.